You can choose from the two options available in the upfront payment method. Allow only Upfront payment - This would set the upfront payment as the only payment option. Allow Upfront payment and recurring (Customer to choose)- This would allow users to choose between upfront payment or normal recurring payments. 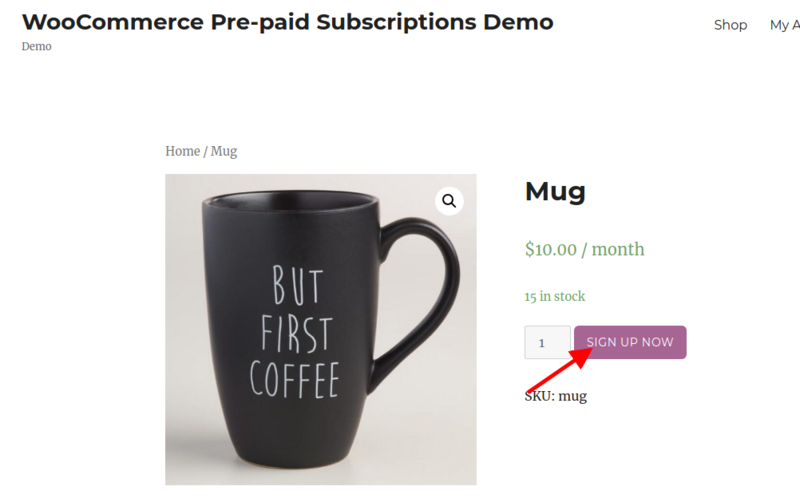 Navigate to Products tab and click on any subscription product. In the general tab, you can find the Payment Upfront section. Choose the payment type according to your requirement. 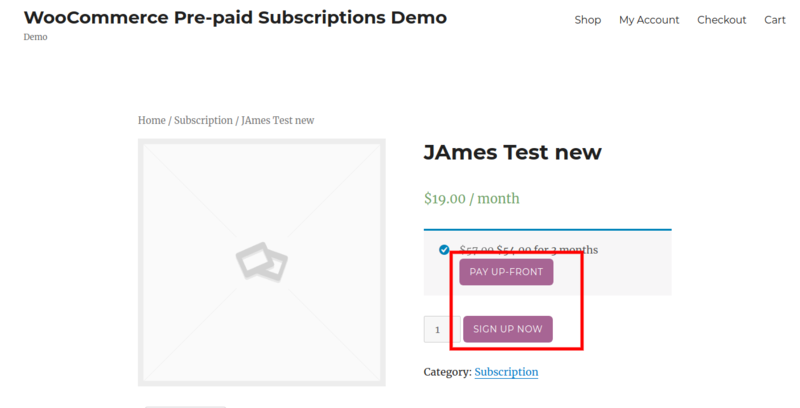 Screenshot of the product page when Allow only Up-front payment is selected. 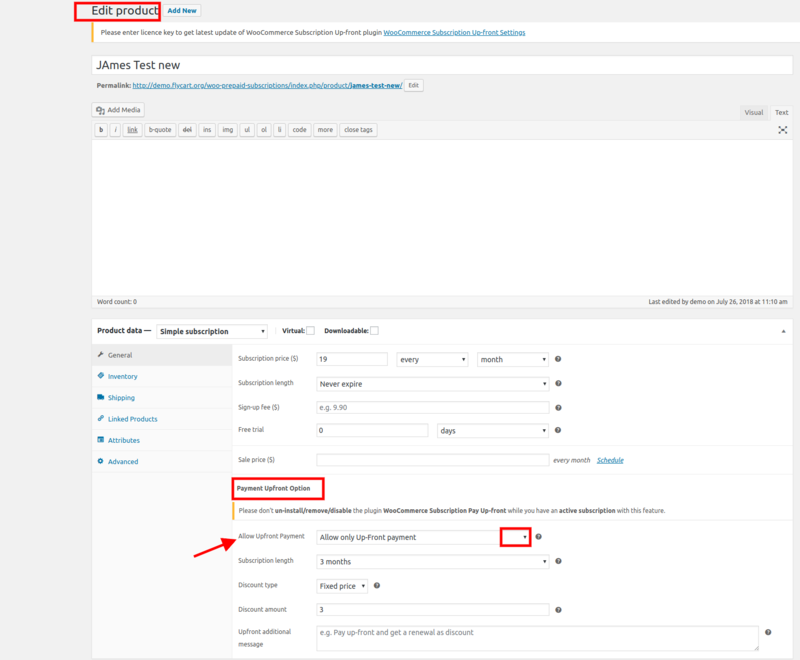 Screenshot of the product page when Allow Upfront payment and recurring(Customer to choose) is selected.